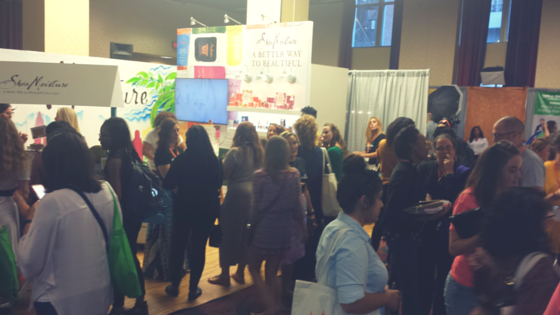 I hadn’t even reached the #BlogHer15 registration desk and could already feel the excitement in the air. Hundreds and hundreds of women of varying ages and ethnicities dressed in vibrant colors, clinging to their overflowing conference bags, huddled together, laughing, talking, sharing, hugging, reunioning. This was my first time attending a BlogHer conference. I had heard so much about it from my former colleague and others that I couldn’t wait to jump right in. It turned out to be everything I thought it would be and more. Inspiring, informative and instructional. Live panel discussions and keynotes led by journalist Soledad O-Brien (@soledadobrien), Girl Scouts’ CEO Anna Maria Chavez (@annamariachavez), SheKnows’ Samantha Sky (@SamSkey7 and @sheknows), actress and Goop.com founder Gwyneth Paltrow (@GwynethPaltrow), and many others. Attendees gather at the #BlogHer15 conference, the world’s largest conference for women content creators, in New York City on July 17, 2015. Girl Power was definitely front and center. The exhibit hall featured wall-to-wall vendors of all types from electronics to makeup to transportation services. The breakout sessions were equally engaging and enlightening. Bloggers could pick from a broad range of topics covered, including storytelling, brand positioning and promotion, social media everything, and a slew of writing labs to name a few. I found one of the most interesting and relevant panel sessions to be “Focus & Organization: Tips and Tactics to Focus on Your Writing and Get More of It Done”. The panel led by Sam Horn of The Intrigue Agency (@SamHornIntrigue) and blogger Danielle Faust (@DanielleFaust), was loaded with quick, easy-to-remember and easy-to-apply advice to help concentrate on your writing and organize your thoughts for your blog. 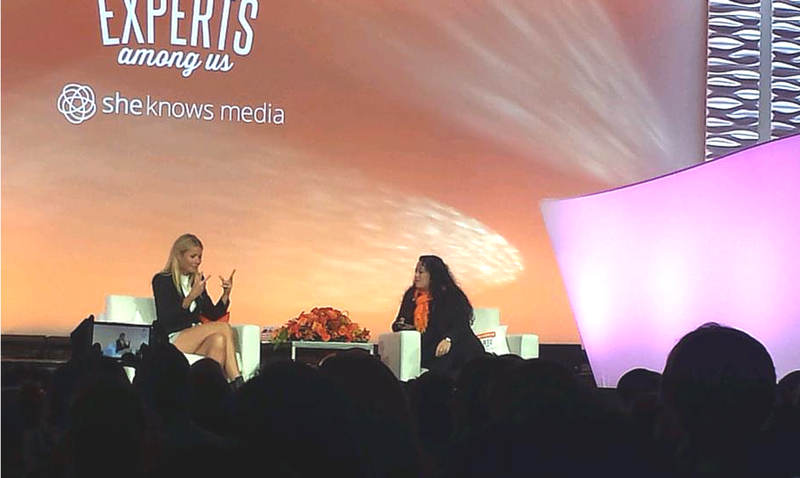 Gwenyth Paltrow talks about running a business, work life balance, and the controversy that comes with speaking your mind at #BlogHer15 in New York City. If you think you’re just a writer, think again! Blogging requires way more than only writing. You own your blog. “Think of yourself as the CEO of your blog,” says Faust. 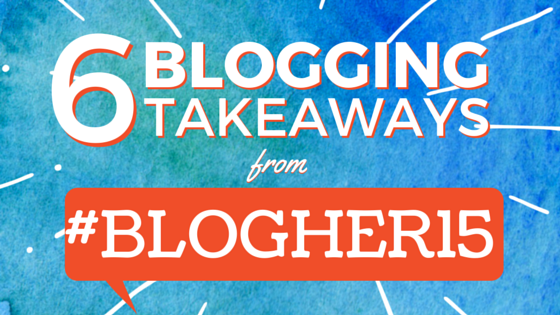 Approach your blog like it’s your business and you’re the boss of it. If you’re like most of us overbooked women today, your mind is constantly racing with a myriad of things you have to do, need to do or are asked to do. It’s difficult to focus when your mind is being pulled in different directions. But don’t let the distractions derail your momentum. Instead of becoming frustrated and giving up, try Horn’s “five more” rule by giving just that – five more. “Work past the point of frustration and write five more paragraphs or five more minutes to help you regain that mental momentum.” Push yourself to give five more and you may be surprised by the result! Get two notebooks – one for all the blog ideas that pop in your head, which often occurs at the most inconvenient of times like when you’re driving or in the shower or in the middle of the night. Keep the notebook in your bathroom and/or next to your bed. Record it if you’re in the car and then add it later to your notebook of ideas. Get it out of your head and on paper. You can go back to it later and decide whether it’s worth your time to pursue your original idea. The second notebook is for everything else on your to-do list. “We’re trying to write and then we start thinking about all the other things and errands we have to do.” Write them down and then you are free to forget about it until you’re finished writing. One of Faust’s rituals is a daily “power hour” that she dedicates to focusing on activities she has to do for her blog. Create a list the night before and then tackle the top 3 during your power hour. Focus evaporates the more time it is given, so Horn suggests bloggers schedule a specific start and end time for your writing. Also, create or identify a space or place that you go to write and do nothing else. Yes, that’s right. Set aside time to do nothing. Faust believes an essential part of being an organized and successful blogger is giving yourself permission to have “me” time. “Schedule procrastination. It’s not a dirty word,” Faust says. “It’s your time to take. It should be guiltless. As women, we tend to always feel like we should, should, should. Don’t’ should all over yourself!” You don’t have to be working on your blog all the time. Faust strongly advises that bloggers take time to relax and vegetate. If you build it into your schedule, you won’t feel guilty about it. 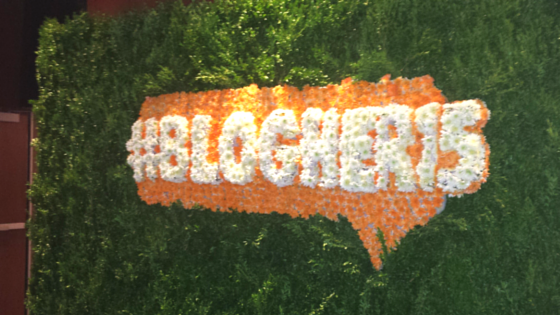 Content creators shared key quotes and photos from the event over Twitter, Facebook and Instagram, using the hashtag #BlogHer15. Whatever topic you blog about, PR Newswire for Journalists gives bloggers the ability to create customized newsfeeds of the type of content they want to be delivered on the day/time that works best for them. Sign up here. Brett Simon is PR Newswire’s director of audience relations and a former television reporter. Follow her @savsimon.